MPAA CEO/Chairman Chris Dodd and Congresswoman Judy Chu pose with a Syfy makeup artist and his 'Fish Lady' creation. 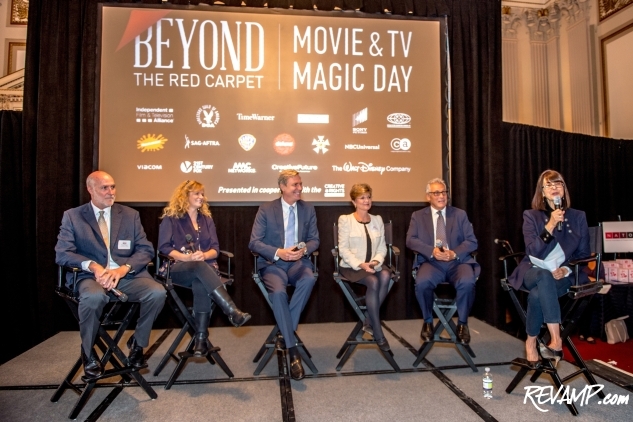 CAPITOL HILL -- Washington policymakers were treated to a special behind-the-scenes tour of the U.S. movie and television industry on Wednesday afternoon, as the Creative Rights Caucus hosted a unique program on the Hill dubbed 'Beyond The Red Carpet'. 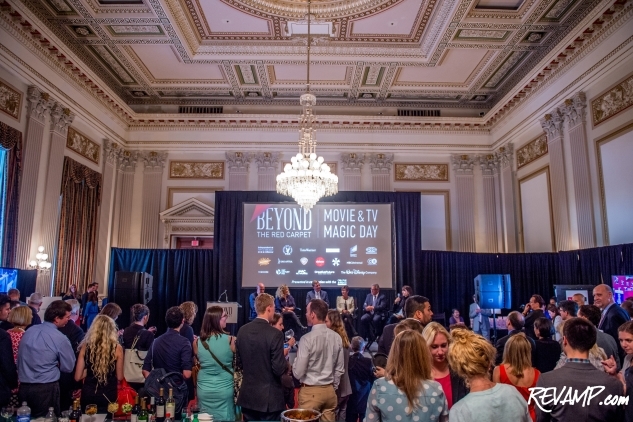 Held inside the Caucus Room of the Cannon House Office Building, the event brought a little Hollywood magic to D.C. in the form of first hand demonstrations of and panelist explanations about the incredible amount of talent and hard work that goes into the typical film and TV production. 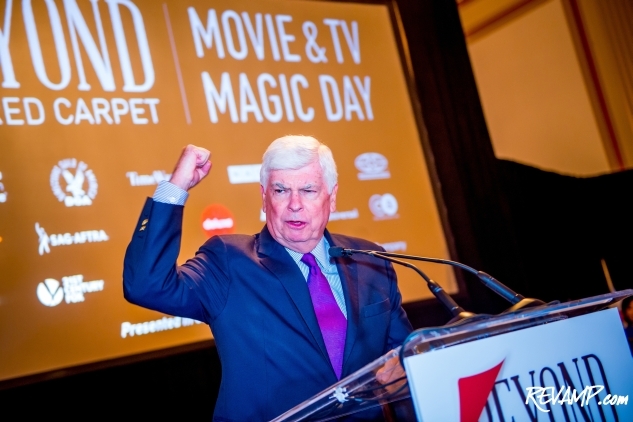 Actors, film editors, costume designers and illustrators, producers, screenwriters, and directors all joined together for the occasion, with widespread participation from everyone from The Walt Disney Company, NBC Universal, Time Warner, and 21st Century Fox to the Directors Guild of America, Motion Picture Association of America, and Screen Actors Guild/AFTRA organization. 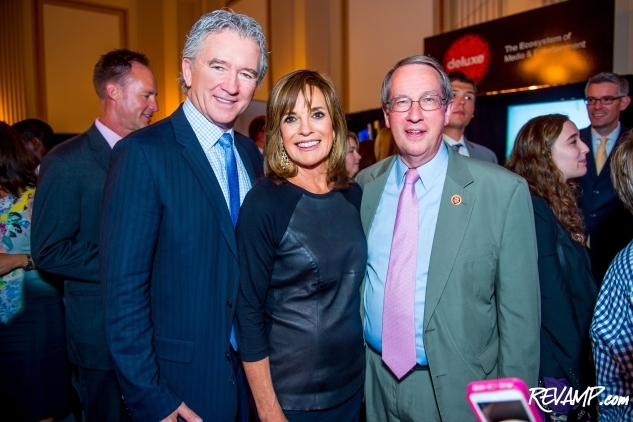 Much as they are away from Washington, the actors and actresses in attendance likely drew the most amount of attention, with 'Dallas' stars Patrick Duffy and Linda Gray and 'Breaking Bad' leading man RJ Mitte graciously posing for dozens of Instagram and Snapchat photographs. 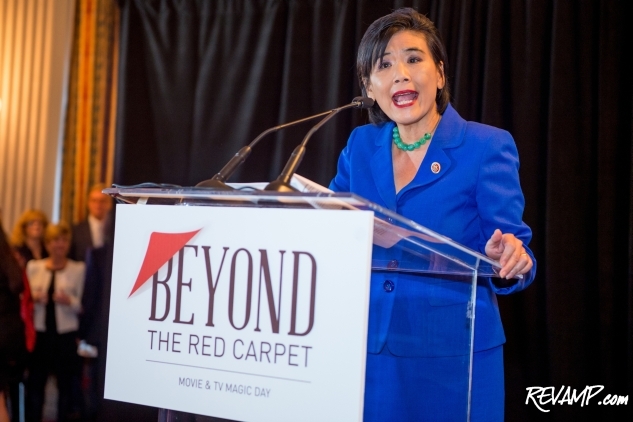 But the star power wasn't limited to the creative community, as more than 30 members of Congress also turned out for the program. 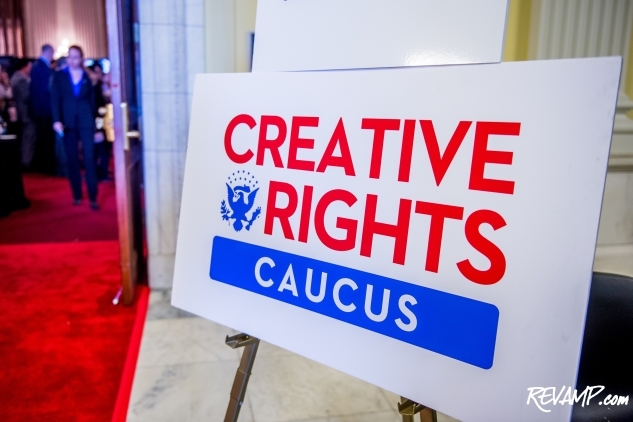 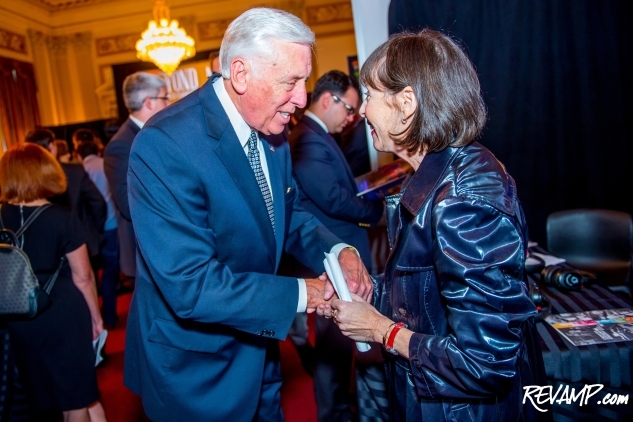 Co-chaired by Congresswoman Judy Chu and Congressman Howard Coble, the Creative Rights Caucus was created as a bipartisan group designed to educate both lawmakers and the general public about the importance of preserving and protecting the rights of the creative community. 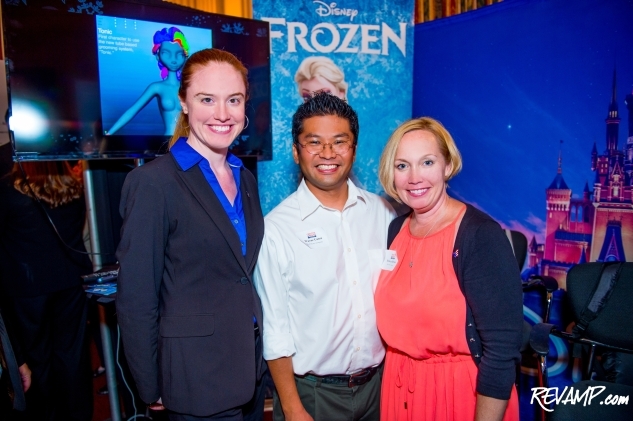 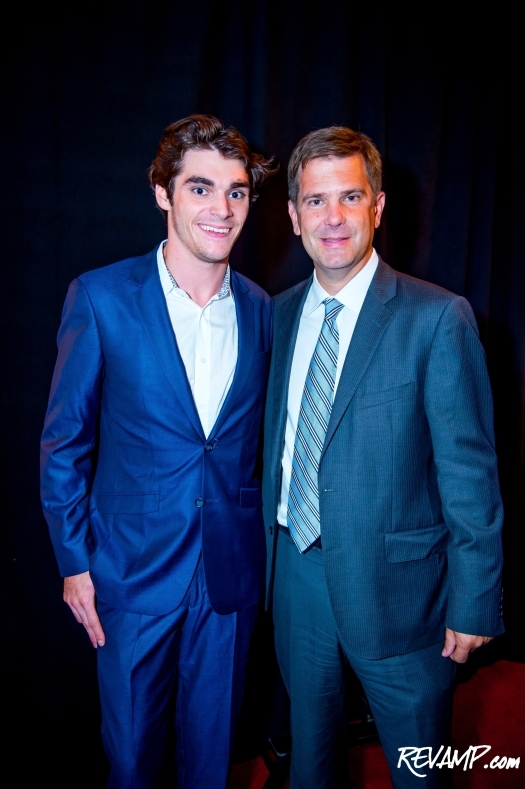 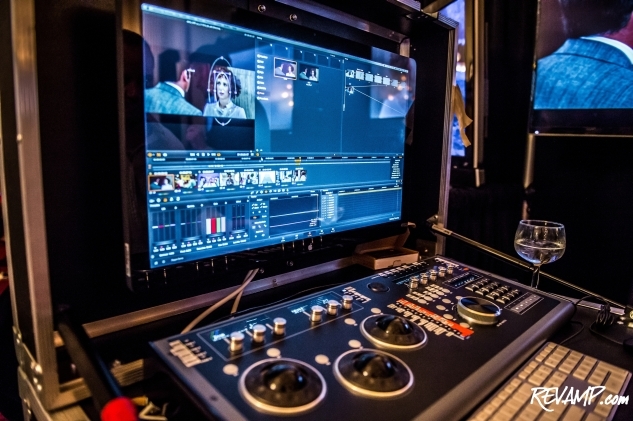 Since complex industry issues like copyright law and freedom of speech aren't always easy to discuss in policy papers, e-mails, and memos, the organization conceived of events like 'Beyond The Red Carpet' to provide real world, first hand demonstrations of the work involved in creating a feature film or TV show. 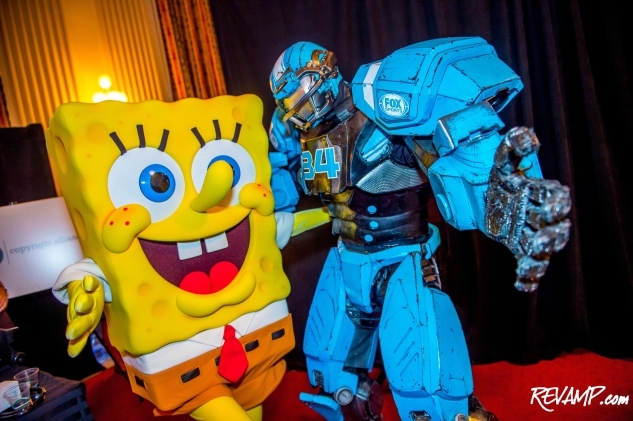 Yesterday, such creative displays blended the artistic (a Syfy 'Face Off' makeup artist demo) with the fun (appearances by Fox NFL Sports robot Cleatus and Nickelodeon's SpongeBob SquarePants) with the technology driven (demonstrations of color correction and animation software). 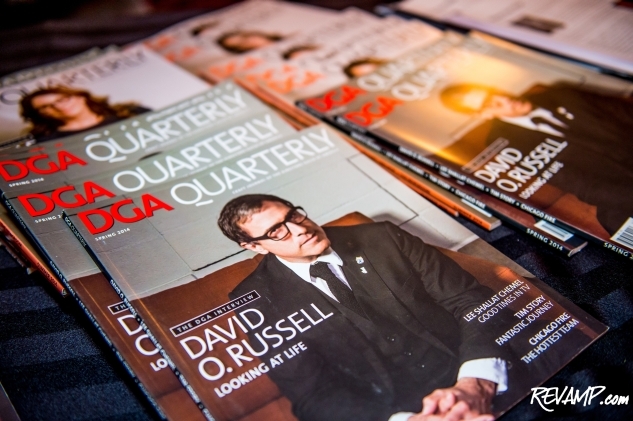 And their message was clearly received: nearly 2 million Americans depend upon the continued economic vitality of the motion picture, music, software, and literary communities. 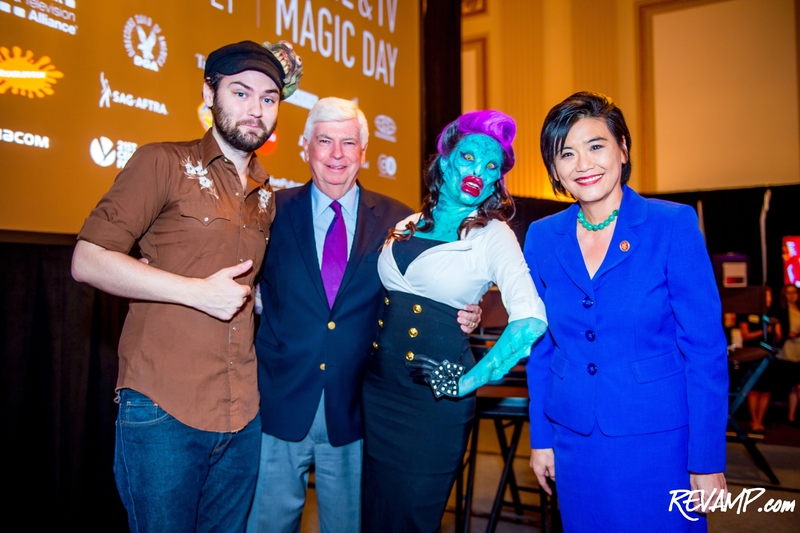 The U.S. Congress therefore has a very real mandate to encourage, protect, and support those creative types, which contribute so much to the country's economy and heritage.